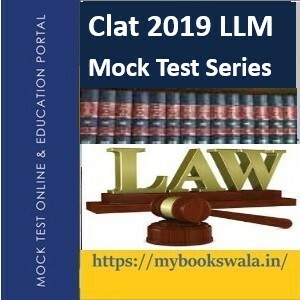 CLAT-2019 LLM program will encompass topics from Constitutional Law, Jurisprudence, Criminal Law, International Law etc. LLM Paper Total 150 questions are asked from this section. The applications have to be submitted ONLINE only from clatconsortiumofnlu.ac.in website. Candidates appearing in the qualifying examination in April/May 2019. QUALIFYING EXAMINATION - An LL.B Degree or an equivalent examination with a minimum of 55% of marks or its equivalent grade in case of candidates belonging to General/OBC/PWD/NRI/PIO/OCI categories and 50% of marks or its equivalent grade in case of candidates belonging to SC/ST categories.